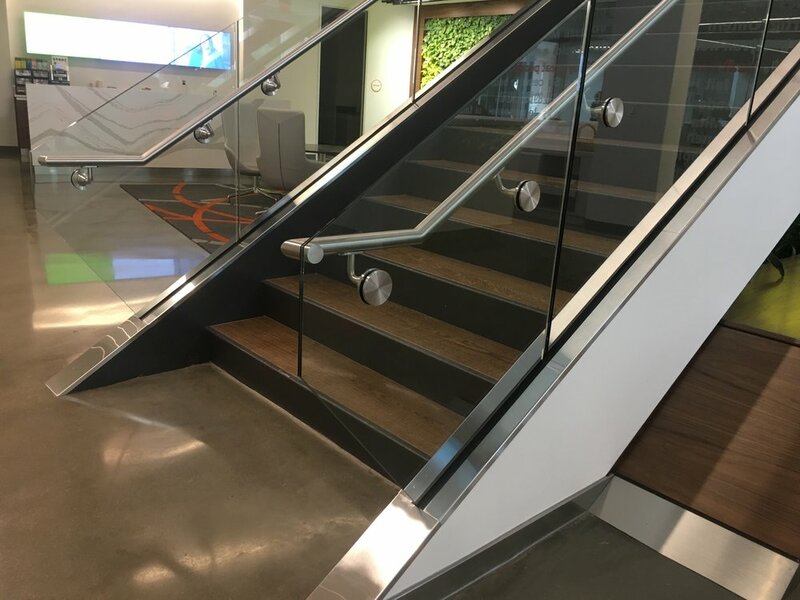 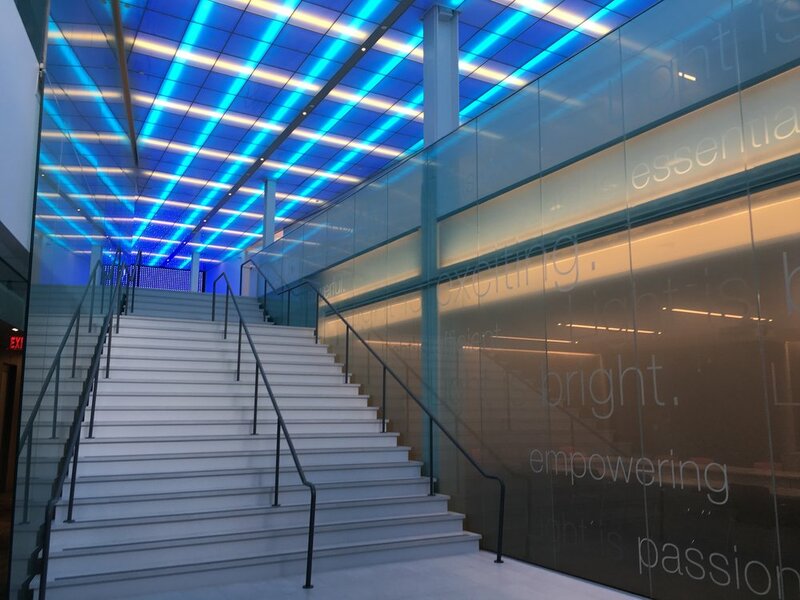 -Our knowledgeable staircase and railing crews will work closely with you to create the most aesthetically pleasing & code compliant glass railing. 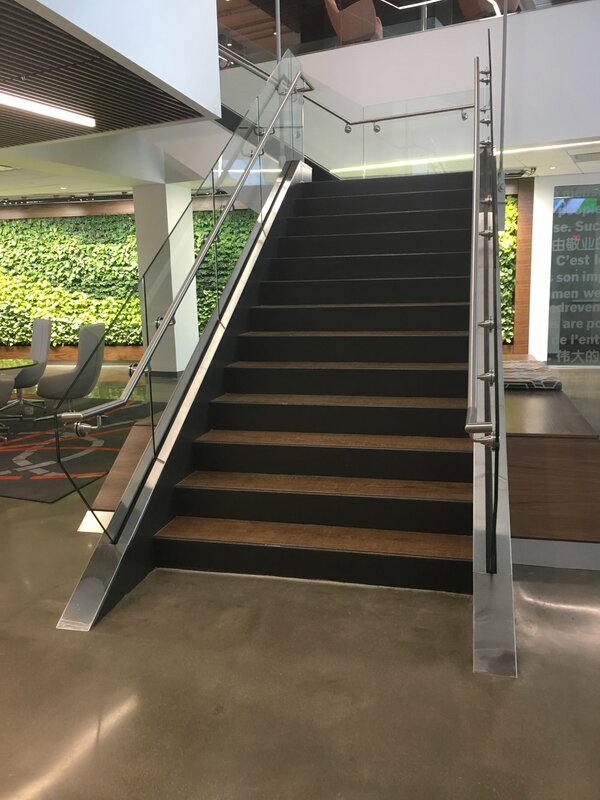 -Handrails and glass tops are custom cut to fit the space to best fit your interior design needs! 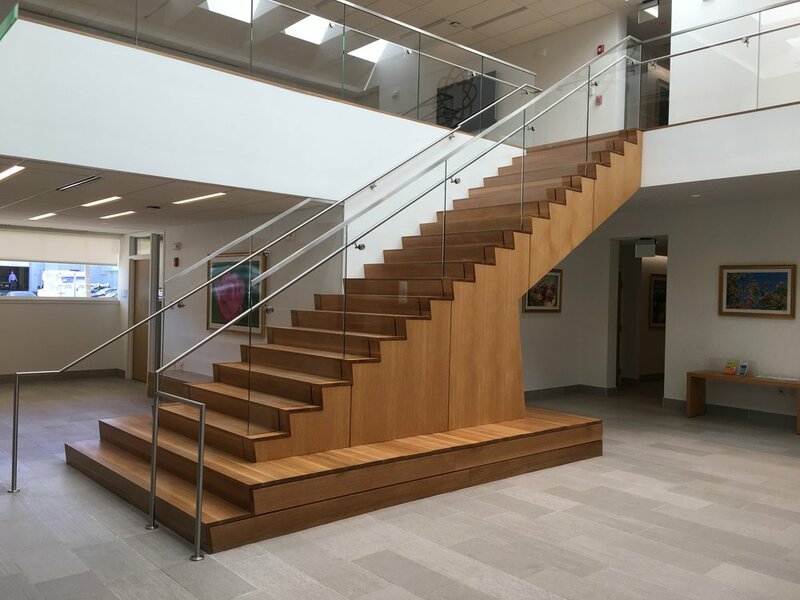 -Our custom cladding can be added to create a smooth and professional finish to your stairwells.